Of course, I know what you're thinking: how would I know about all this? 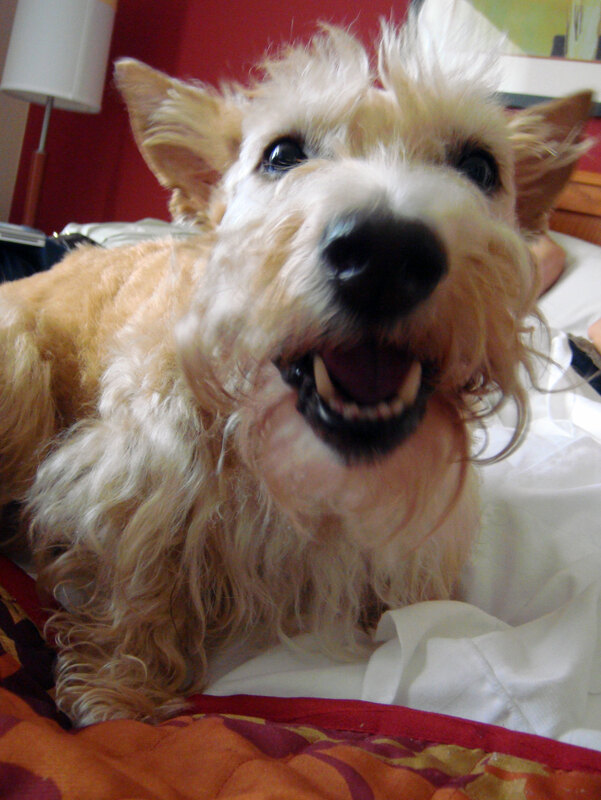 Doesn't Scottie Dad forbid hooman bed privileges? The answer is yes. 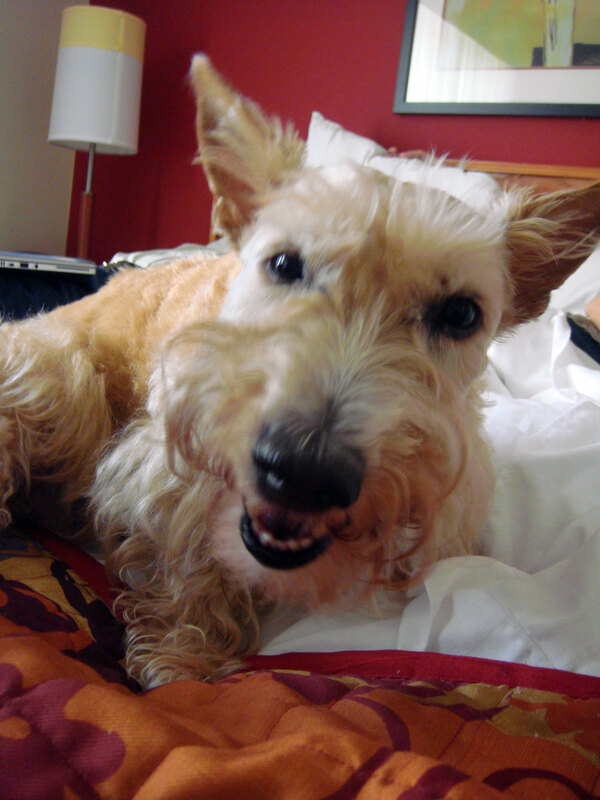 Remember: for the purposes of this blog, Heather and Mr. K's habit of stealing the hooman bed while Scottie Dad's away is entirely fictitious. Wink, wink. 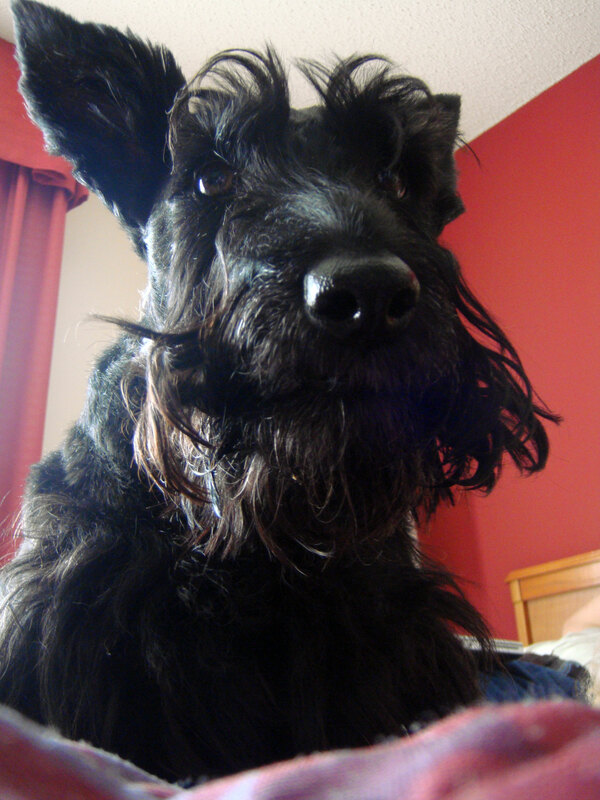 So when I talk about that night that Mr. K woke me up five times or the morning I got woken up by a Scottie sneeze in my face...never really happened. And those photos you see of them on our comforter? Completely staged. Dont you worry, Scottie Dad! However, I will say this: their days of being prohibited from a hooman bed are limited. We are just three days from closing on a townhome that has three bedrooms. 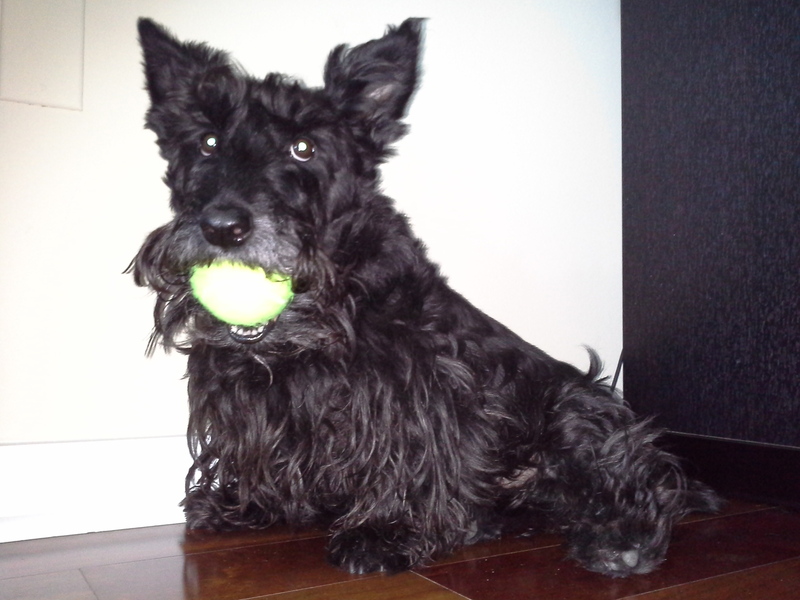 I will honor Scottie Dad's wish of no dogs in the master bedroom. However, the first thing on my agenda is to set up a guest room...not so much for the guests as it is for me and the Scots! When I lived on my own, I didn't have the luxury of a queen bed like I do now. In fact, I had a twin. Yes, a twin bed that was occupied by myself, Mr. K, Heather (usually for about half the night before she gave up and went back to her doggie bed) and even Scottie Dad when he visited. To this day, I have no idea how we made that work. Scottie Dad said it was highly uncomfortable but I honestly don't recall having a problem. That must be why we spent so much time at Scottie Dad's apartment. They weren't allowed on the hooman bed there, either, but at least they were allowed to sleep under the bed. Those mornings were especially adorable. Mr. K would put his front paws up on the mattress and wag his tail until he got my attention. Who wouldn't wake up smiling to a face like that? 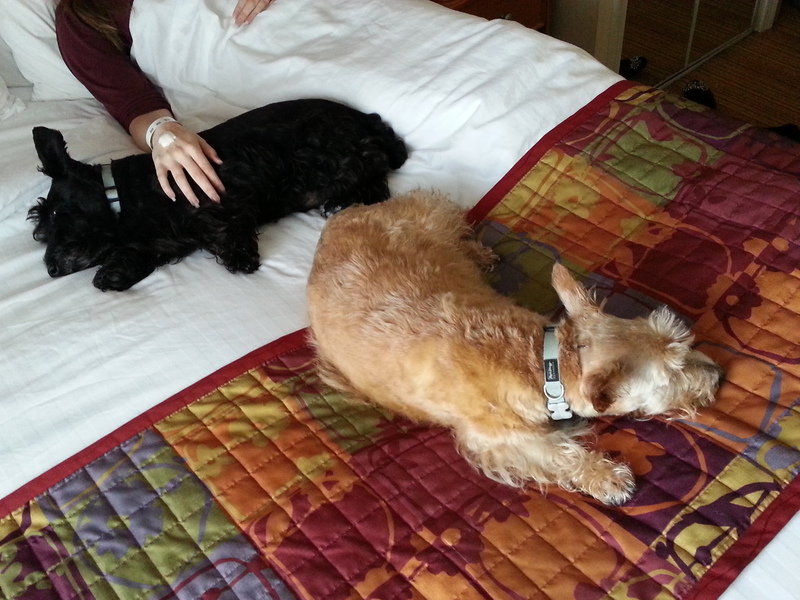 It was a confusing time, I'm sure, for the pups - being allowed on one bed but not the other. 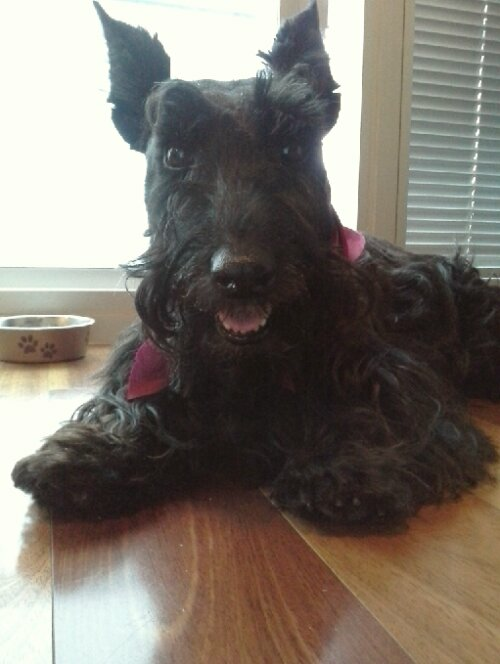 Lucky for Scottie Dad, his bed is too tall for a Scottie to jump on. The funniest part of it all is that I am a complete grouch if I don't get the sleep I need. Withought sleep, I simply can't function and when I do, I'm certainly not happy about it. However, I find myself more than willing to sacrifice my sleep just so I can have Heather and Mr. K by my side. It doesn't matter how many times Mr. K wakes me up to ensure his optimum comfort or if Heather has been on my feet so long that they too have fallen asleep. I still would much rather have them there all snuggly in the hooman bed than to get a full night of uniterrupted sleep. It is a good thing I will live so close to work soon. 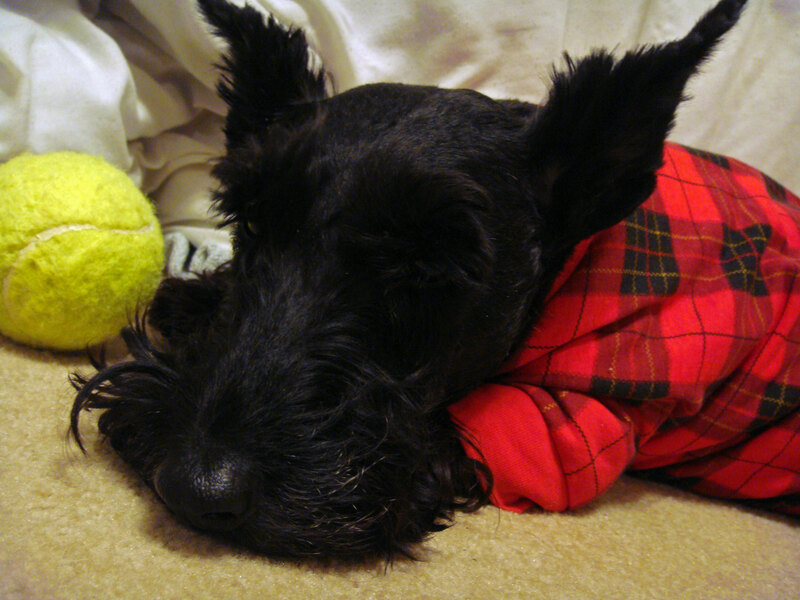 I may need that extra hour on the days Scottie Dad is away to make up for what I didn't get during the night. Here's my question to you: what's bedtime like for your pup? Does he or she get hooman bed privileges in your house or prefer the doggie bed? 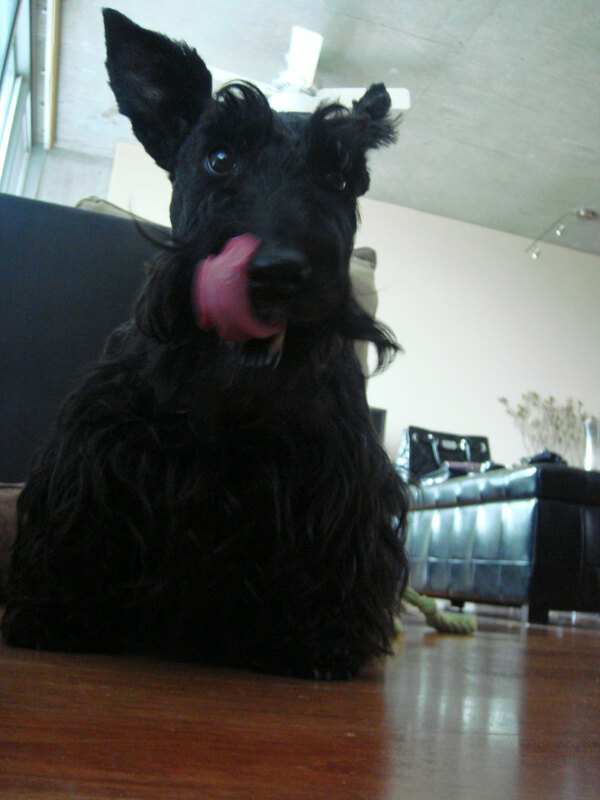 It's official: everyone in the Scottie Mom household is now watching their weight. Scottie Mom and Dad are just doing the responsible thing and trying to eat right. No real diet or plan to it. 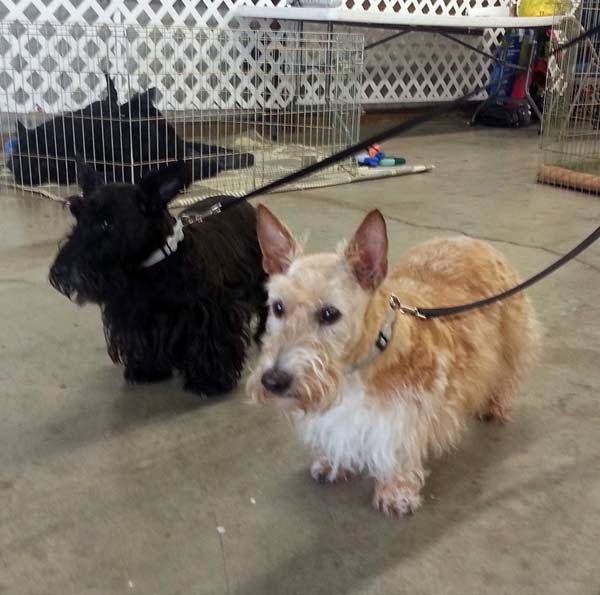 So far, Scottie Mom's down six pounds and Scottie Dad...well, it's hard to keep up! He's definitely ahead in the game. Heather, who has lost a whopping three pounds since she was adopted two years ago, is being monitored to make sure she maintains her weight of 25 pounds. 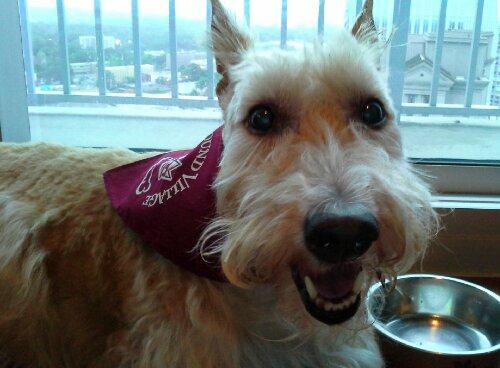 Mr. K, on the other hand, is the last to join the Scottie Mom biggest loser team and as of today, has been instructed by the V-E-T to lose a few pounds even though he weighs exactly the same as Miss Heather...25 pounds. 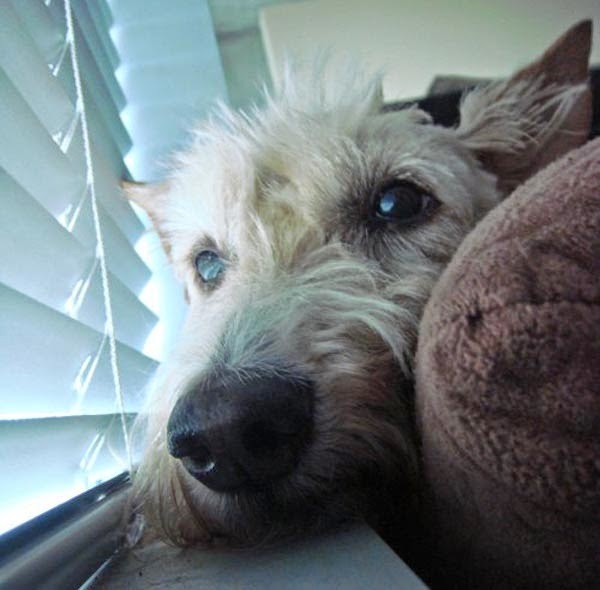 When he was adopted in 2010, Mr. K was a little underweight at 17.5 pounds. The shelter told me they thought he had been the runt of his litter. His first V-E-T at Pet Friends Veterinary Clinic (whom Mr. K actually loved to visit because he thought it was a personal massage appointment every time!) asked Scottie Mom to put a little meat on his bones. For a few years, he stayed steady at 23 pounds. Since his horrific health scare shortly after we moved into the condo, however, he has slowly packed on a couple extra pounds. Today, he weighed in at his heaviest at 25 pounds. So, where do we go from here? 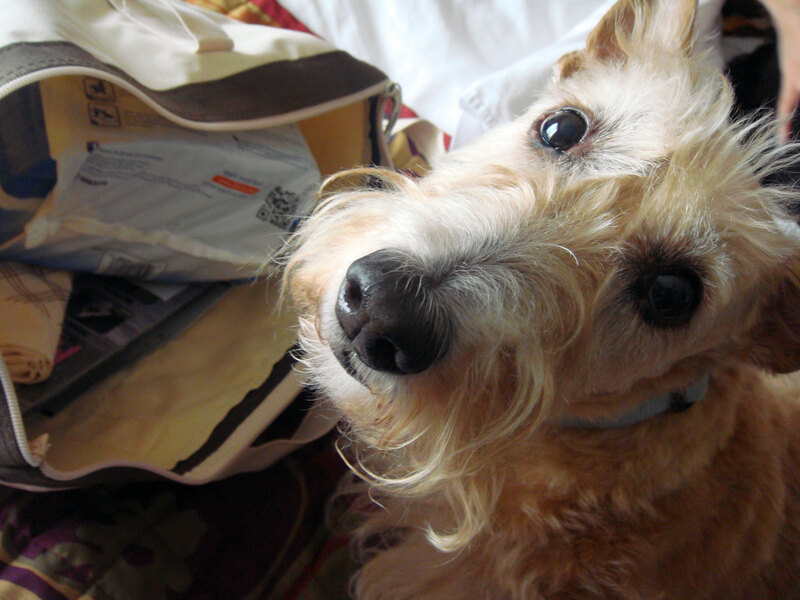 Much to Mr. K's dismay, it starts - or rather, ends - with treats. 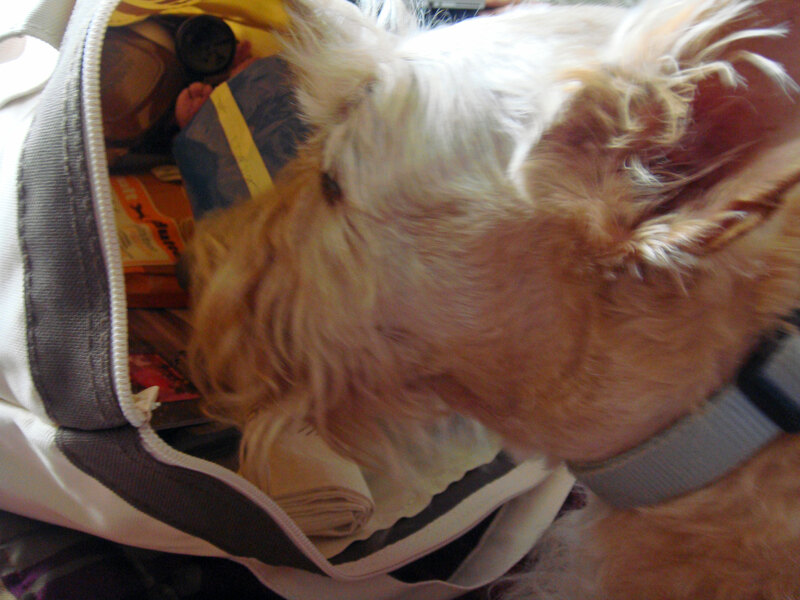 (Sorry, Mr. K. Scottie Mom has had to cut out some favorite foods, too...) I've asked Scottie Dad to support me on this one since he is my treat-giving accomplice. 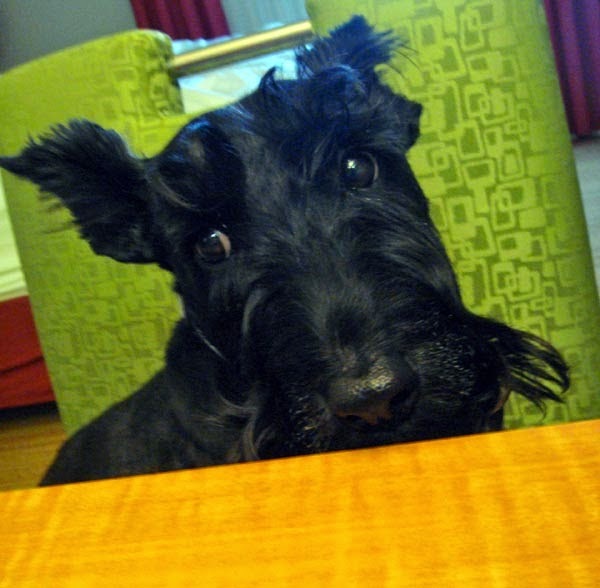 It is so easy for the Scottie face to win us over and to see just how happy they are when they taste something scrumptious...especially those homemade doggie blueberry muffins we tried a few times. Heather and Mr. K go nuts for them! 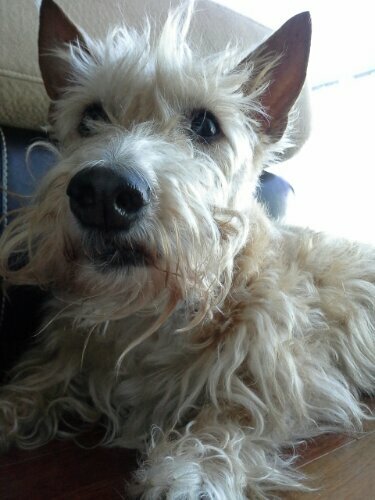 But, we must be strong and get Mr. K down to the weight the V-E-T says is healthiest for him: 23 pounds. Next, per the V-E-T'S instruction, we are to cut his food down by 20 percent. Right now, Heather and Mr. K are fed twice a day. Each gets about a half cup of Blue Basics (which we chose to help with Mr. K's allergies) at both meals. The biggest change - and the one I'm most excited about but couldn't tell anyone until I knew for sure it was going to happen - is the reintroduction of long morning and afternoon walks into our schedule! Currently, that is not always possible giving our city locale. However, in just about a week from today, Heather and Mr. K will be closing on a townhome to call their own - complete with a very walkable neighborhood! More details to come. 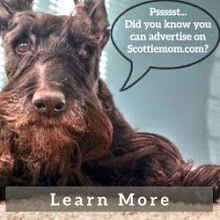 And so - I'm sure our friends at Scottish Terrier Health Network will appreciate and support this - Mr. K would like to propose that his fellow Scots (and other four legged friends, of course) join him on this quest for optimal health and fight against pet obesity by dragging their Scottie Moms and Dads out for more walkies and playing extra long games of fetch. 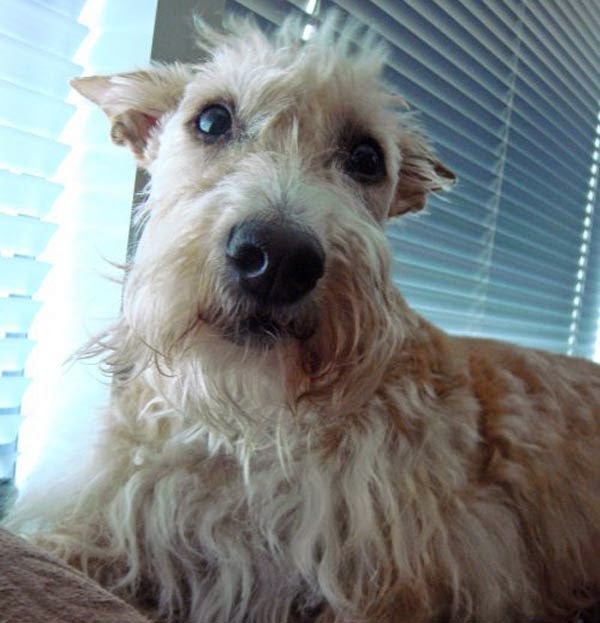 Send your pups' photos and success stories to thescottiemom(at)gmail(dot)com or just add them to our Facebook page as you watch those pounds drop! 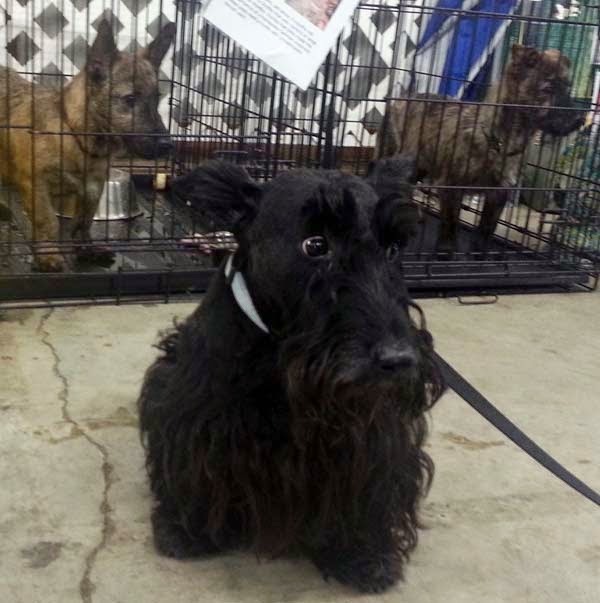 BlogPaws Day 2: Epic fail. 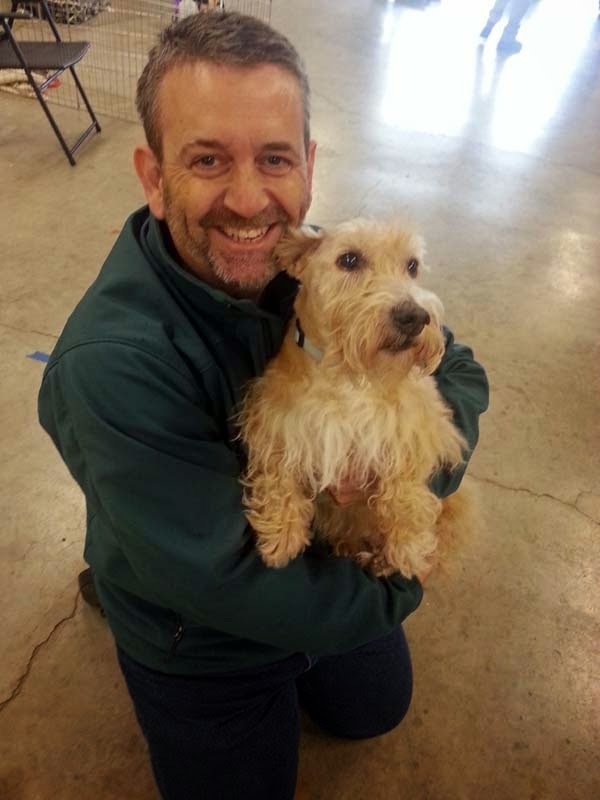 Heather and Mr. K never made it to the second day of the BlogPaws Conference. In fact, they didn’t even get out of the hotel much that day due to yet another unexpected turn of events. Saturday was like any other day. Mr. K signaled when it was time to wake up and go for a walk and, after taking care of business outside, he and Heather came back to the room for breakfast. For whatever reason, Mr. K wasn’t interested in eating. 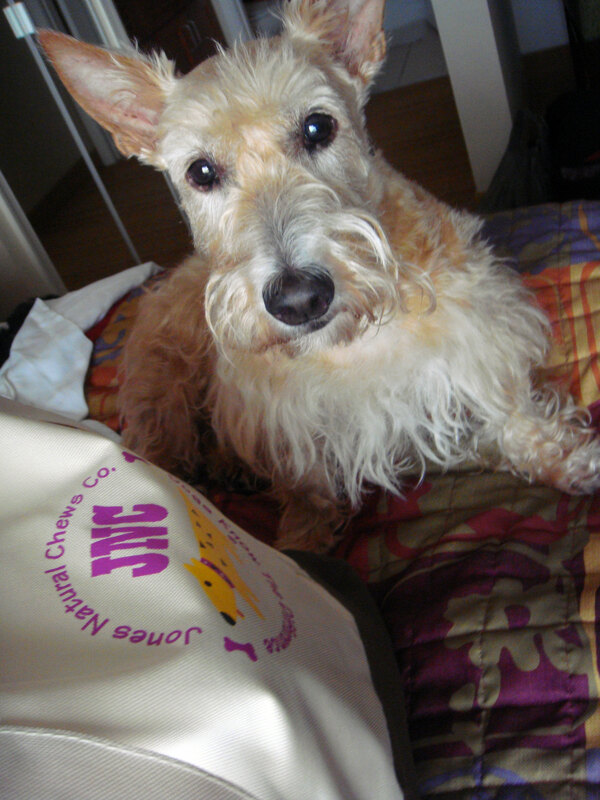 Instead, he asked to come up on the hooman bed and cuddle with Scottie Mom. 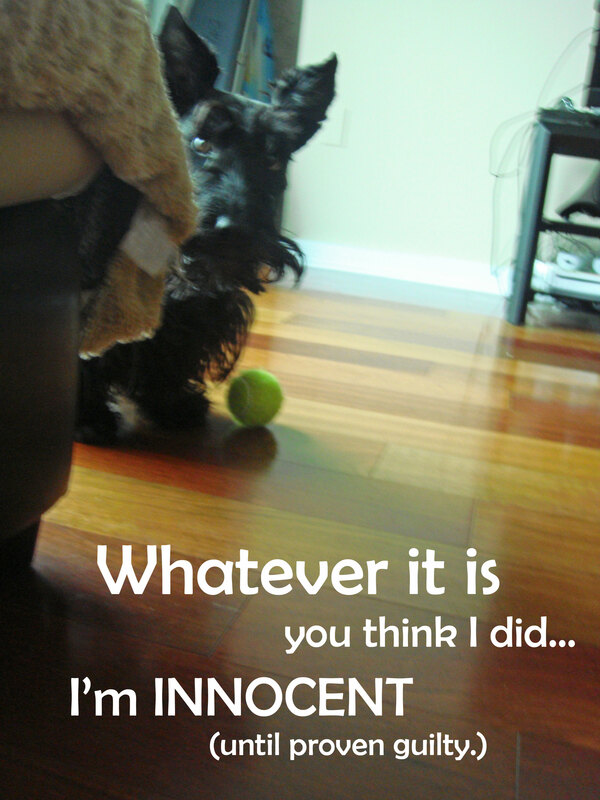 And who could refuse such a request (especially since Scottie Dad was sleeping and wouldn’t even notice!)? About a half hour later, it was time to get ready for the conference. Mr. K was playing shadow, following me everywhere from the bed to the sink to the kitchen and back to the bathroom vanity. I encouraged him out of the bathroom so I could shower in peace but moments later, I noticed the little guy coming back. Something was going on for sure and I wasn’t about to tell him to go away. I continued getting ready and started the shower. Mr. K was stationed at the entrance of the bathroom, lying solemnly on the floor. I placed one foot in the tub and before the second could touch ground, I realized the only thing that would be touching the ground was my back. I felt the impact first on the right side of my back, which hit (and broke) the toilet seat before hitting the tile where Mr. K – who had fled the room by now – was stationed. Once I hit the floor, it was like my body went into shock and this intense pain spasmed throughout. I screamed. Scottie Dad shot out of bed to see what happened. The puppies went into hiding under the bed. 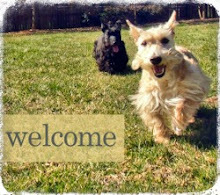 They only resurfaced after much encouragement from Scottie Dad and were rewarded with an extra walk and some treats. I got ready as fast as I could (which wasn’t very fast at all, considering the pain I was in) and about an hour later, I was sitting in the ER of Inova Fairfax Hospital. It hurt to walk. It hurt to sit. It hurt to turn left or right, sniffle and even breathe deep. I was completely miserable and I expected a trip to the ER to only add to the agony but it really wasn’t the case. A dozen X-rays and an IV of pain medication later, I was officially diagnosed with a rib contusion just a few hours into my visit. We were out of there by mid-afternoon and while I didn’t get to do any of the touristic things I had lined up for the Scottie kids, I was more than happy to hang out with Heather and Mr. K in bed for an afternoon of movie watching. 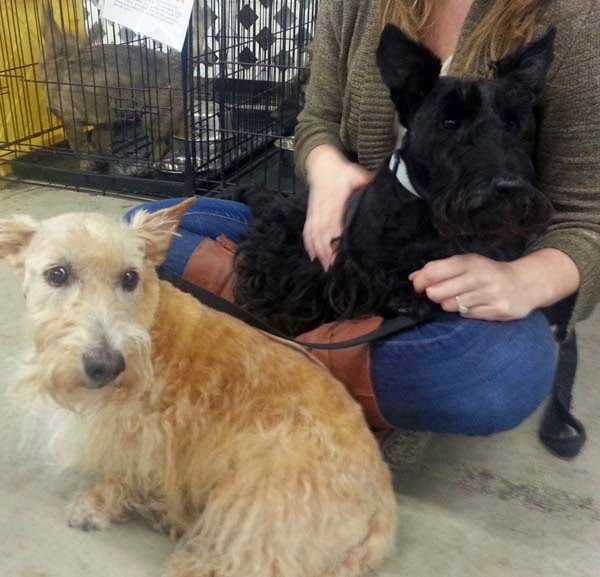 Just being in the company of a Scottie (or two!) has a healing effect when we’re feeling down, doesn’t it? Alas, such was the ending to our weekend in Washington, D.C. Heather and Mr. K didn’t get their chance to pose with Fala, visit any of the doggie boutiques or local Scottie friends nor did I get an opportunity to show off just how cute pajama-clad Scotties look when they take over the hotel. All these things will have to be achieved if we ever get the chance to revisit. In the meantime, the three of us are going to take it easy after a very long weekend of travel and (mis)adventures. 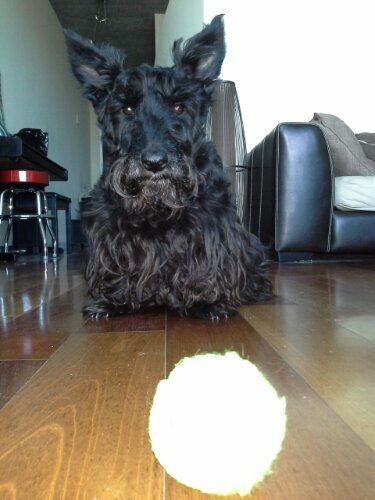 Scottie Dad is officially on dog-walking duty until my back heals so I’m sure there will be more than one incident to report by the time I am able to resume normal Scottie Mom duties. Wish him luck!